China has seen a growth in sustainable housing. In order to solve a rising crisis of homes being destroyed from natural disasters, rural villages have been quickly building green-roofed homes. They’ve also taken advantage of the large amount of bamboo in the Baoxi area with energy efficient houses. 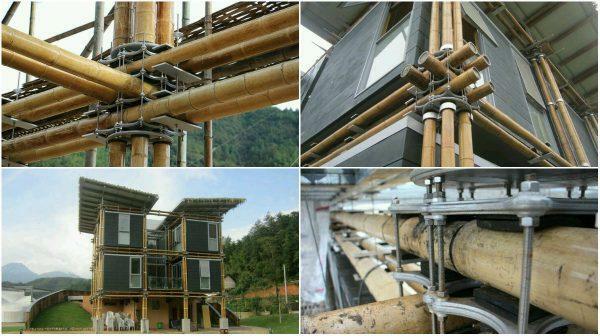 While most of China is using concrete to build structures, bamboo has been increasing over recent years. It retains many of the same features that timber has, but has added benefits such as being more flexible and having a lot of strength. The product can be generally lighter than other wood yet it’s tough as steel. "Bamboo is becoming increasingly popular as a building material in architecture, interior, and industrial design," Dylan Baker-Rice of Affect-T in Hong Kong told Dezeen back in 2014. 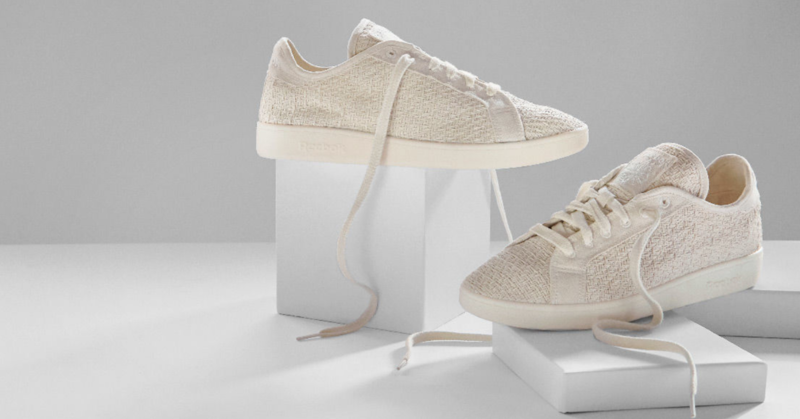 "We are using bamboo more and more in much of own work as we notice many other designers are in Asia and South and Central America. We expect to see a lot more of it in upcoming buildings, in particular here in China." 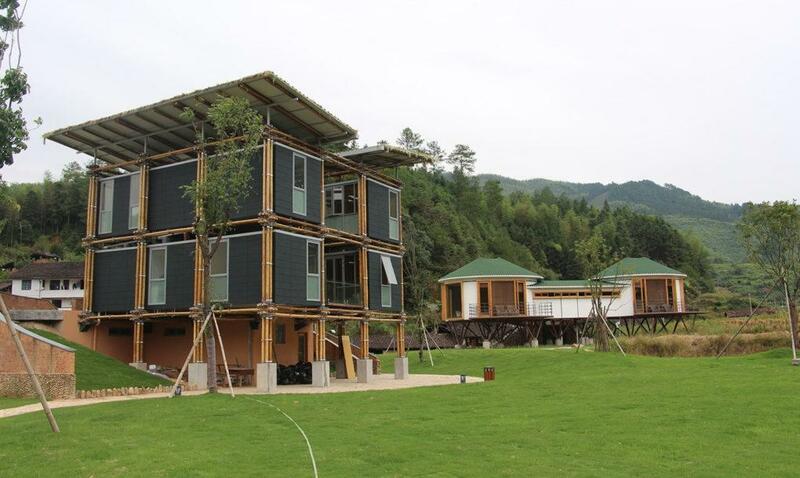 Another architecture firm, Studio Cardenas, is testing out the new Energy Efficient Bamboo House in the Zhejiang province. Not only does it use an abundant material, but it has a goal to save on energy use. The company explains that the prototype building is only created naturally and uses elements such as wind, sun, and water. Bamboo provides one of the best carbon dioxide diffusers when compared to other plants and grows faster than other wood alternatives. Some interesting aspects of the bamboo house include being able to replace weakened bamboo easily, adding the potential ability to make these houses last longer and provides maintenance work for local workers. 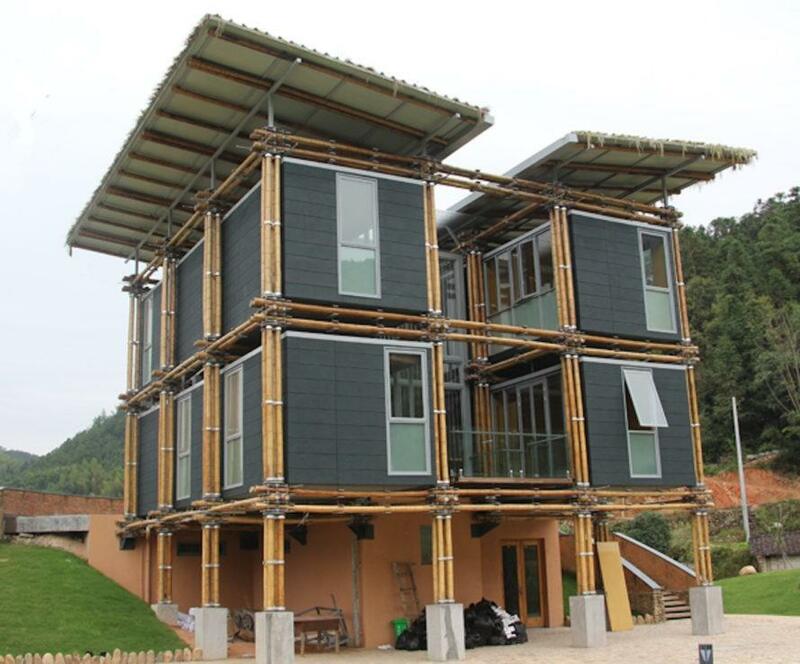 Groundwater and a geothermal heat pump provide heating and cooling needs for the bamboo house. It can be up to 25 percent more efficient than traditional air cooling and heating systems as it uses the Earth’s temperature year around. They will also build the homes as uniform as possible for large-scale production. Baoxi has also been the host of an art festival to promote bamboo as construction material. In its inaugural 2016 edition, 12 architects created bamboo structures and many of them were permanent structures. Not only did this create a tourist attraction, but it was a unique way to keep the community using renewable items. The potential for more homes like this provides massive energy savings while using materials that are sustainable. Studio Cardenas says that aluminum joints keep the bamboo held together. Chinese clay is used for exterior walls and terracotta clay is for the roof. More plants will be located on balconies and an outdoor garden to further eliminate CO2 emissions.